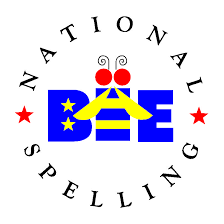 I was one of the viewers, as I am a long-time fan of spelling bees in general, and the Scripps-Howard National Spelling Bee (the granddaddy of them all) in particular. But as I watched America’s brightest young students compete last night, I couldn’t help but feel a little regret. You see, 52 years ago, I came within just one or two letters of heading to Washington to compete for the national spelling bee championship. It was down to me and Danny Michaels, mano a mano, in a verbal fight. And not just verbs, but nouns, adjectives, and adverbs as well. I wanted to win that spelling bee more than anything in my life. You see, I was the worst baseball player in the history of little league, a bumbling right-fielder for the Dellwood Baptist Cardinals. I was too small for football and basketball. The only sport I was any good at was dodge ball, and that was only because I was so tiny nobody could hit me. I was at least three inches shorter than any girl in my class. I wore braces and suffered from pre-adolescent acne. But as I sat on the stage of the Frayser Elementary combination auditorium and cafeteria that day, I was confident that my nerdom was about to end. I was competing in the only sport I would letter in. Not just one letter but several. I just knew that when my moment came and I triumphantly held the Frayser Elementary School Spelling Bee trophy above my head like the winner at Wimbledon, my braces would fall from my teeth, my acne would disappear, and I would grow a foot taller. Stay calm, I told myself. “Can you use it in a sentence?” I asked Mrs. Choate, in a desperate attempt to buy some time. “The English teacher asked the class to write an essay on the topic ‘Onomatopoeia’,” replied Mrs. Choate. Well that sure helped. I cleared my throat, and in a squeaky, nerdy voice said, “onomatopoeia… o–n–o-m–a–t-a-p-e-a.” DING! exclaimed Mrs. Choate’s desk bell, signifying that I was a l-o-s-e-r.
Danny Michaels then strode to the microphone, looking for all the world like Mickey Mantle stepping up to home plate. He calmly spelled “meretricious,” (as in “we wish you a meretricious and a happy New Year.”), and was declared the winner of the 25th Annual Frayser Elementary Spelling Bee. The crowd went wild. Danny was immediately mobbed and kissed by every girl in sixth grade. I was left alone to wipe the tears off my thick glasses. I went on to become a lawyer. Danny moved to Hollywood and became a screenplay writer. He recently won $300 million in the powerball lottery, and is living with Jennifer Aniston. Over a half century later, I still remember how one lousy, impossible-to-spell word sentenced me to a lifetime of nerdiness. To this day, I remain convinced that if I had only been able to spell “onomatopoeia” I would now be living in Hollywood with Teri Hatcher, and Danny Michaels would be writing this column. I remain to this day a world-class speller, and if you find any typos in this column, blame spellchek… opps! I mean spellcheck. Peggy McClure: Okay, so I was, and still am, a spelling nerd!! My word in sixth grade at Colonial Elementary was "authority." How ironic that the person pronouncing the words, the authority of the spelling bee, pronounced it "ar-thar-i-tee." So, what did I do? I repeated the word, as heard, and began spelling it: A-R-T-H- . . . buzz!!! (It was at that awful sound of the buzz that I realized my mistake.) "I'm sorry, Peggy," said Ms. One-Who-Can't-Correctly-Pronounce-This-Very-Easy-Word. Respectfully, I pleaded, "But Ms. OWCCPTVEW, that's the way you pronounced it, with an "r" after the "a." Don't I get another word?" I did not, but I ALWAYS spell the word correctly. I did become a public relations professional and continue to use words, both written and spoken--as many of you know, and DIE, just DIE if I misspell one! (By the way, the only word underlined in red in this message is the acronym for Ms. WHATEVER!! !